Today, Project Fi rolled out yet another great feature for their group plan customers. 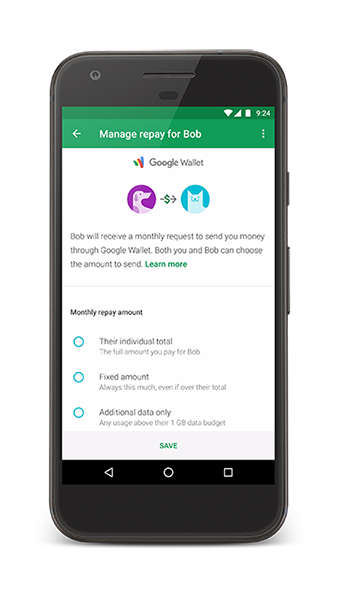 Group Plan Repay, makes it so much easier for the Group Owner to collect payment from the group members. Group pay enables the owner to split the bill according to group members. At the end of the billing cycle, each member's portion is clearly defined on the bill. The Group Owner can send members reminders with their payment amount and gives them a simple method to pay the owner right through the Fi App. This is all a result of new integrations with Google Wallet, which makes payments and requests such as this really simple. This is a great new feature that is sweetened by a a promotional offer for all new signups . Any new group signup before July 17th 2017 will get a free month of Fi Basic Service. Learn more about the Group Repay program here in the FAQs.